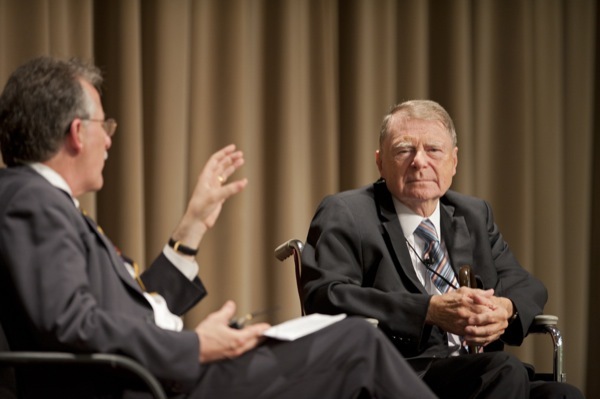 Richard Heck discusses his work at a special symposium in his honor, held at UD in May 2011. 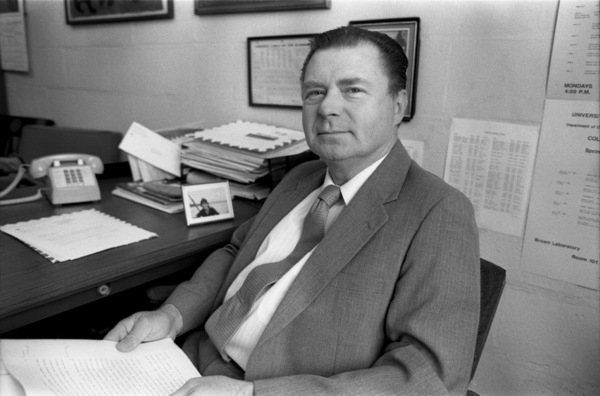 Richard Heck served on the UD faculty from 1971 until his retirement in 1989. Editor's note: To watch a video featuring Prof. Richard Heck and the impact of his work, click here. 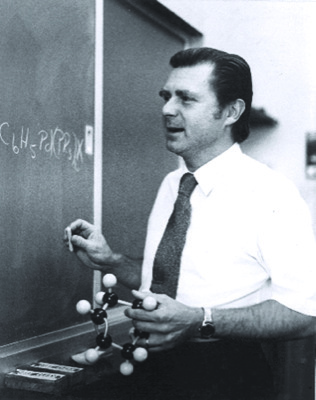 12:26 p.m., Oct. 10, 2015--Richard F. Heck, Willis F. Harrington Professor Emeritus of Chemistry at the University of Delaware and a 2010 recipient of the Nobel Prize in Chemistry, died on Oct. 9 in Manila, where he lived. He was 84. His pioneering research changed the world in many fields, including pharmaceutical manufacture and discovery, DNA sequencing and electronics. In 2010, Prof. Heck  and fellow researchers Akira Suzuki of Hokkaido University in Sapporo, Japan, and Ei-Ichi Negishi of Purdue University  received the Nobel Prize “for palladium-catalyzed cross couplings in organic synthesis.” Palladium-catalyzed cross coupling is used in research worldwide, as well as in the commercial production of pharmaceuticals and molecules used in the electronics industry. Mary Watson, assistant professor of chemistry and biochemistry, said, “I am very sad to learn of [Prof. Heck’s] death and am thankful that I had the opportunity to meet him. It is difficult for me to express the deep respect and awe I have for Prof. Heck’s work as well as his character. “The importance of Professor Heck's scientific contributions cannot be overstated,” she said. “His discovery that palladium catalyzes the formation of bonds between carbon atoms revolutionized the way that chemists make molecules. His thinking about how the Heck Reaction works formed the foundation for a huge swath of new reactions and continues to inspire chemists today. My own research would not be possible without the understanding that Heck gave the community,” said Watson, whose research is funded by a prestigious National Science Foundation Early Career Award, which she received in 2012. It includes an outreach component highlighting Heck’s work, which is aimed at getting high school students excited about science. He said, “Prof. Heck was a true giant in the field of synthetic chemistry and was enormously ahead of his time. His work changed how chemists think and what we are able to do. The direct and indirect impacts of his work touch on our lives, not just as chemists but as everyday citizens, in ways that most cannot imagine. The reaction that bears his name, and related reactions, have impacted a vast range of advances important to modern society  from things as mundane as sunscreens, and as advanced as modern electronics and medicines that cure human disease. While at UD, Dr. Heck discovered the “Heck Reaction,” which uses the metal palladium as a catalyst to get carbon atoms to connect up  a difficult feat in nature. The discovery has enabled the production of new classes of pharmaceuticals for treating cancer to HIV, asthma, migraine headaches, stomach ailments and other maladies. The work revolutionized DNA sequencing, making possible the coupling of organic dyes to the DNA bases, which was essential for the Human Genome Project. 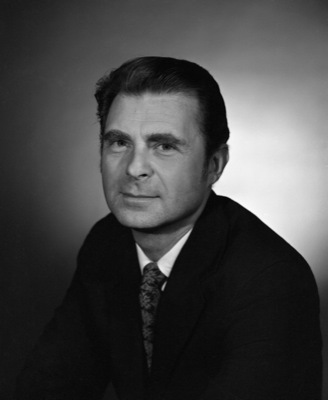 Dr. Heck's achievements reverberate throughout our lives every day, in products ranging from sunscreens to super-thin computer monitors. Dr. Heck’s contributions were recognized through a number of prestigious awards. In 2004, UD's Department of Chemistry and Biochemistry established the Heck Lectureship, an annual award given in recognition of significant achievement in the field of organometallic chemistry. In 2005, he was awarded the Wallace H. Carothers Award, bestowed by the Delaware section of the American Chemical Society for creative applications of chemistry that have had substantial commercial impact. In 2006, he received the Herbert C. Brown Award for Creative Research in Synthetic Methods from the American Chemical Society. Dr. Heck last visited the UD campus in May 2011, attending a symposium in his honor on May 26, which was declared Richard Heck Day on campus. At Commencement on May 28, he received an honorary degree from the University. Earlier this year, a display honoring Dr. Heck was unveiled in the lobby of Brown Laboratory, home of the University's Department of Chemistry and Biochemistry. Also featured in the display is the late UD alumnus Daniel Nathans, who received the Nobel Prize in Physiology or Medicine in 1978. Born in Springfield, Mass., on Aug. 15, 1931, Dr. Heck completed his bachelor of science degree in 1952 and his doctorate in 1954 at the University of California Los Angeles (UCLA). 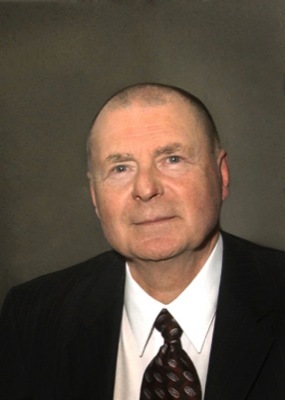 After a 14-year career with Hercules Chemical Company in Wilmington, Delaware, Dr. Heck joined the University of Delaware faculty in 1971. He retired in 1989.